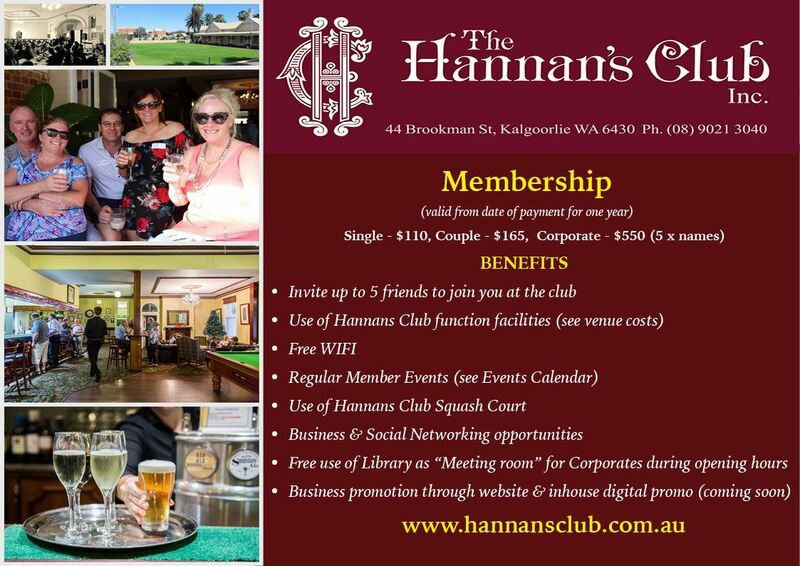 The Hannans Club was officially opened on 28 May 1896 with 27 members. 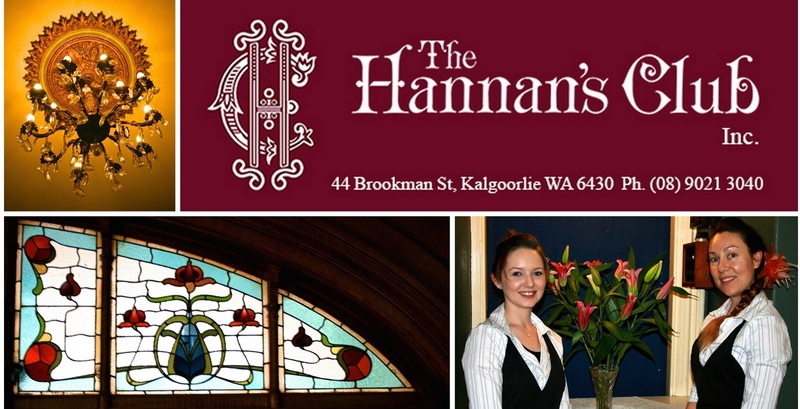 The opening of the Hannan's Club in Brookman Street, Kalgoorlie was celebrated on Thursday afternoon 28 May 1896. A large number of members assembled to take part in the proceedings. The President [Mr H. M. Jephson] occupied the chair. Both the visitors and the members were delighted with the club premises, which are the finest in the Colony, with the exception of the Weld Club. The building, which forms quite an architectural feature, is situated on a corner of Maritana & Brookman Streets and is built of stone and covered with an iron roof with spacious verandahs on three sides. 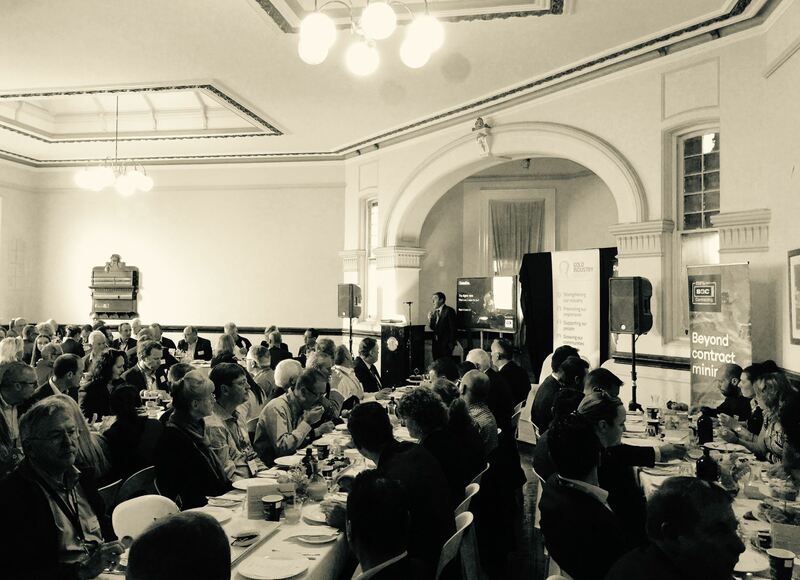 The building was erected from designs by Messrs Brookman and Draper, architects of Exchange Buildings, Kalgoorlie. When Hannans Club opened, staff comprised a secretary, chief steward, two waiters and a billiard marker. By November 1897, Hannans Club had 288 ordinary, and 279 honorary, members, made up of mine managers, company directors, bank managers, solicitors, doctors, accountants, sharebrokers and other professionals. Most members of the Kalgoorlie Stock Exchange were members of Hannans Club, and many of Kalgoorlie's streets are named for early members. It wasn't until many years later in December 1982, due to changing social times, that the first female member was admitted to The Hannans Club. 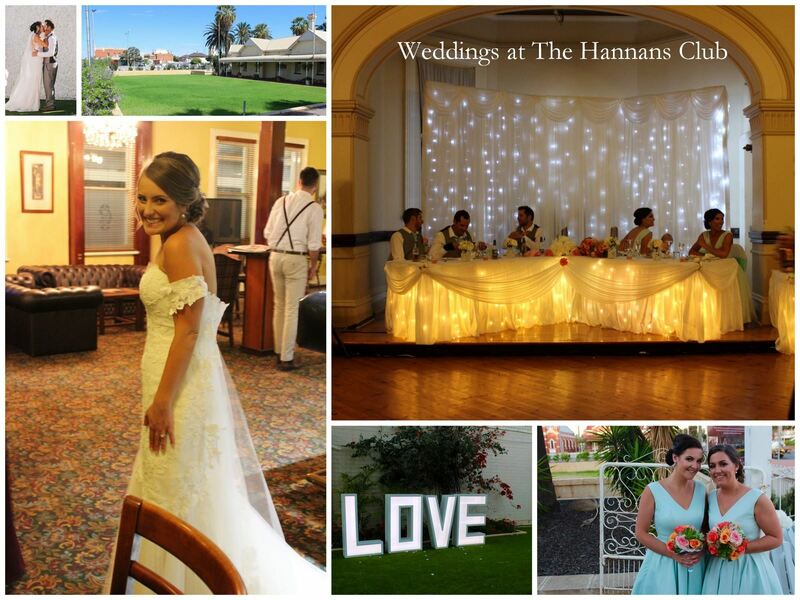 Today The Hannans Club is regarded as a meeting place for business people and their families and popular for functions and parties and weddings. 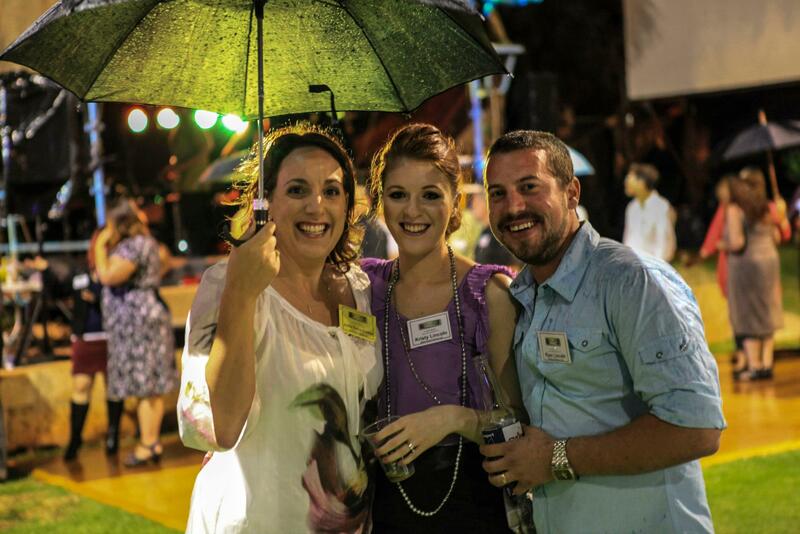 Would you like to be part of Goldfields history and become a member this iconic establishment? Invite up to 5 friends to join you at the club. Menu options for Friday Night 5-8pm Friday. 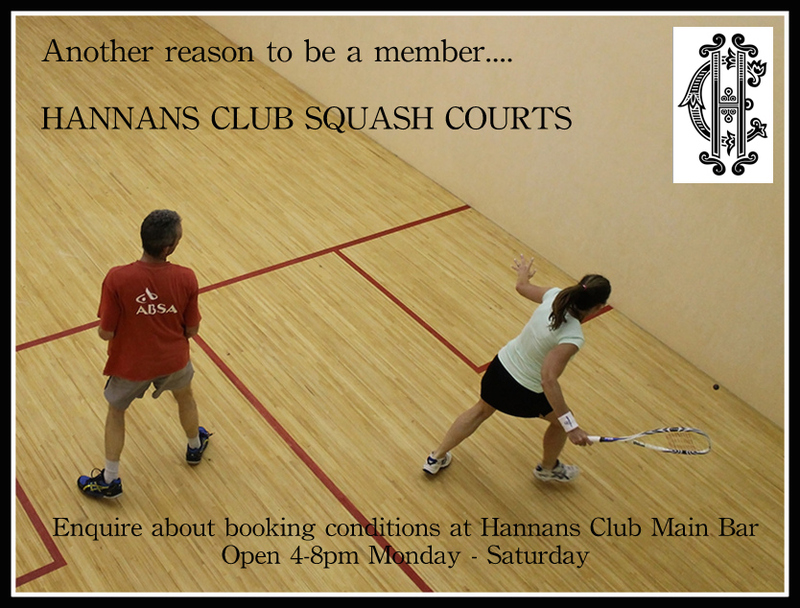 FREE Use of Hannans Club Squash Courts. $200,000 is soon to be our goal to attract Heritage funding for building restoration.